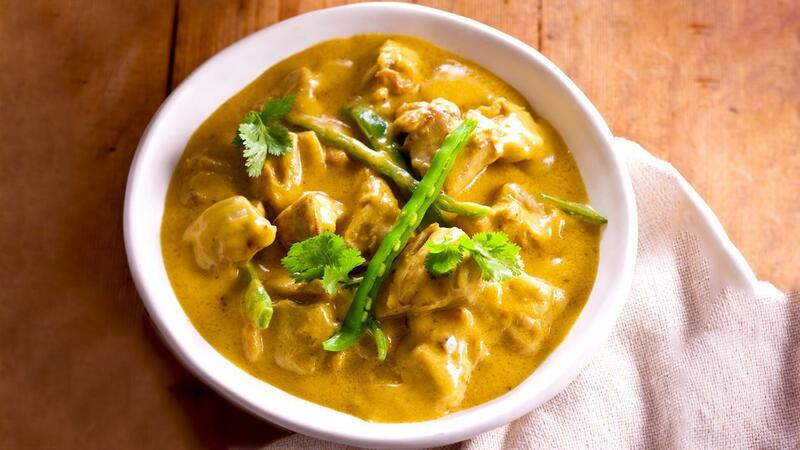 This recipe is possibly the simplest way to make a Korma curry using the Chinese lemon sauce as a base. Prepare shallot, garlic and young ginger into blended paste. Saute blended paste with corn oil, dry spices until fragrant. Add in chilli paste and curry meat powder. Bring to the boil to tender the chicken. Thickened with coconut milk, add lemon zest, and season with Knorr Chicken Stock and salt to taste.